The other week, the Lancaster Guardian front page referred to a financial report published by Lancaster City Council. The thing that struck me when reading the article was that there is no such thing as public money only your money. Public money is only made up of the individual taxes paid by every individual in Morecambe and Lunesdale, there is no magic pot of money available to any Government. This Government inherited one of the largest budget deficits in living memory and it is not acceptable for public bodies such as councils to carry on spending without consequence. Gone are the days when councils could waste money on vanity projects and here are the days when councils have to deliver core services in a cost effective and efficient way. Lancaster City is actually in a very strong position as the base rate of council tax is actually high compared to most areas in the country and therefore they still have a good base to deliver their services. The report mentioned the Government spending review and tried to pre-empt announcements which are currently being investigated. It would not be prudent to second guess the contents of the review until the process is complete. I’m sure at this stage even the Chancellor does not know what final policy areas will be proposed in November. But it is also not acceptable for the Government to create an environment which is not attractive to business. Far from over taxing businesses which are already there a better approach would be to create a better environment which would encourage more businesses to come into the area. As a solution to this, I would urge the council to get behind my proposal for an Enterprise Zone at White Lund. 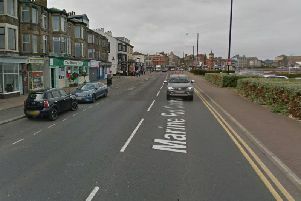 The link road brings with it more business opportunities for the area and an Enterprise Zone would bring more money into the council through business rates and by creating more employment for local people in Morecambe and Lunesdale.